HSN, QVC, and ShopNBC all have begun their after Christmas Clearance Sales. Additionally, this past year we have seen a new promotional strategy of putting clearance items on value pays, flex plays, and easy pays. Since most of the nation has had unseasonably warm weather, the clearance on apparel will still keep you au courant. 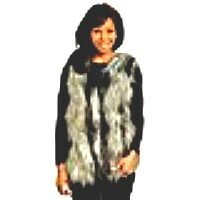 Choose from designers such as Isaac Mizrahi at QVC, craft goods such as Martha Stewart Crafts™ Star Burst Punch Collection at HSN, and faux Ostrich feather vests from ShopNBC. Plus many of these sites are coupling these clearance sales with their white sale. MDM Says: Now is the time to start scooping up those bargains that you can use throughout the remaining winter months and next year as well for less! After 2011 Christmas Sales Begin! MarkdownMom has received numerous inquiries asking when the After Christmas Sale begins. One way is to check last year’s calendar for a general idea. However, the current economic environment can and does affect when retailers will start this process. Markdowns will start on merchandise dedicated specifically to the season like decorations. Having said that, the sales have begun. Target. Initial markdown instore of 30% on decorations and candy. Pick-up a extra holiday gifts for unexpected guests. Although MarkdownMom considers 30% a sale and not a true markdown be aware that many nonfood items will be sold by them to other vendors in bulk, so closely monitor price reductions. Menards®. Current holiday merchandise is marked down 50% instore and they will slash prices incrementally each week. Sephora. Not a real sale, but the perfume and makeup gift packages that are offered at this time of year have real savings on name brand fragrances and cosmetics. MarkdownMom recommends scooping up a few of these bargains for future gift-giving. Plough & Hearth offers more than it’s name suggests. Besides lawn and garden objects, it has wonderful decorating items and apparel to create and keep you cozy. Right now they are having a Post Holiday Clearance in their Outlet with savings up to 65% off! 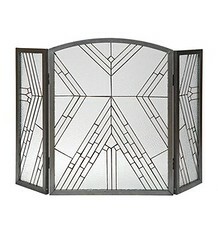 Autumnal and Christmas gifts galore, plus check out their Deal of the Week–this week it’s a Wright Fireplace Screen, as in Frank Lloyd Wright style, reg. $129.95, weekly deal priced $89.99. Buy $50 or more and use promo code: LNKPHFS for free shipping; otherwise shipping may be a deal breaker. JCPenney® has a large choice of women’s tops and other apparel at great savings–up to 75% off!. Ship to store for free and save more or if purchases amount to $69 or more, ship free to home–use promo code: FRESHDAY. WalMart. Instore. Up to 75% off Holiday Items. Sale on bins to store all your decorations. MarkdownMom usually adds to her decorations for next year during this time, plus cookie cutters and mixes, and toiletry gift baskets. Also, Christmas cards–especially ones that are made to hold gift cards are fabulously cheap! Don’t forget to check the apparel with christmas motifs and designs, so low you could not even afford to buy the material at these ridiculous prices. Online specials for the After Christmas Bargain Hunters KOHL’S [www.kohls.com] Up to 60% off on online and instore merchandise including sale, regular and clearance items through 12/28. Receive a $10 kohl’s cash for every $50 spent online and instore. This includes clearance items, too. Good deal hunters!!! Plus 99 cent shipping per item [2 items shipping is $1.98 etc.]. Also, Home Sale Bonus Buys. 50 to 60% off select items as candles, art, decorative art, frames, throws, albums, corningware, pyrex, bakeware, service ware, decorative pillows and slipcovers. WILLIAMS-SONOMA [www.williams-sonoma.com] Online Winter Sale Up to 65% off on select items until o1/05/06. Markdown Mom is finding 30% to 70% off on select items including candy, kitchen gadgets, dinnerware, linens, and foodstuffs–example butternut squash puree–reg.$10, now $2.99. NORDSTROM [www.nordstrom.com] Usually the best buys at Nordstrom’s is on their “sale” section online where markdowns range from 30% to 70% or instore at Nordstrom’s Rack (check the bottom and click on Nordstroms Rack to get the latest dates for upcoming sales). The best deal at Nordstrom’s Rack before Christmas was their December 21 Tag Sale when you could get 25% to 60% off red dot markdowns and 50% to 60% off new arrival of shoes. Their next sale date is December 27 which they are calling Resolutions–big savings to start the new year off. Right now Nordstrom’s is having a Winter Sale of 25% to 50% off. Usually I wait for a substantial markdown of at least 50% off depending how hard the item is to come by, or how desparate I need it. Remember Bargain Hunters, unless it is one of a kind, you usually can wait for the best deal. However, having said that, if you find a 70% off bargain online or instore in your size, grab it as they go very fast since that is usually their bottom markdown line! If there are several items you are interested in purchasing, remember Nordstrom’s has a flat shipping fee of $5.00–which is the same charge for 1 item as for 5. An extra plus online is a wish list under “your account.” This really helps in your hunt since you can track the markdown and the availability of a particular item. And you can email the list to a relative or gift-giving friend. SPIEGEL [www.spiegel.com] Markdown Mom really likes this site for its clearance listings which include “Below Cost,” its style, and tremendous savings. Right now through 12/29/05 Spiegel is having an additional 25% off (use code 142 in final review of order) including recent markdowns. Markdown Mom has found that markdowns range from 15% to 75%. However, remember that the larger the savings, the more limited the sizes, color, and availability of an item. Although the current 25% markdown does not include shipping and handling (on clearance items this usually starts at $5.95+ and $2.50 handling), the additional markdown will usually cover this cost with an extra $1 or $2 off the item. Another customer friendly service particularly beneficial to us diehard bargain hunters is the “wish list” of your account. Spiegel not only keeps you aware of the current status of your wish list and lists any further reductions, but if an item that was unavailable on your list comes back into stock, they will relist it on your wish list. Markdown Mom just purchased a pair of stylish suede scrunch winter boots, suggested retail of $119, for $24.99, minus the extra 25% off and you have an incredible in season bargain! Be sure to check often as Spiegel has daily “Today’s Steal” items in fashion & swimwear, shoes & accessories, and home decorating. Hot site!!! POTTERY BARN [www.potterybarn.com] Sale on holiday items are limited and markdowns range from 30% to 50%. Clearance items are marked close to pre-Christmas savings. Pottery Barn has new shipping costs which gives the consumer a slight break. Items up totaling $50 or less have a $6.95 flat fee, etc. Best bet for pottery barn devotees is the sale on accessories; otherwise try Target. JCREW [www.jcrew.com] JCrew is having a Winter Sale with an extra 25% off (on select items until 12/30/05 at 11:59PM EST). This is a good site for women size 18 or under. Markdown Mom did find some of the accessories around 32%+ of suggested retail, like shoes and slippers, then add the extra 25% off and it’s a better deal. Sizes are limited. Mostly smaller shoe sizes, but MDM did find a cozy pair of slippers and ballet style flats, and a winter boot in a size 12M! You may have to take time to hunt for the deep bargains, but it is worth it to get the JCrew look. (updated 12/29/05). KOHL’S [www.kohls.com] Up to 60% off on online and instore merchandise including sale, regular and clearance items through 12/28. Receive a $10 kohl’s cash for every $50 spent online and instore. This includes clearance items, too. Good deal hunters!!! Plus 99 cent shipping per item [2 items shipping is $1.98 etc.]. Also, Home Sale Bonus Buys. 50 to 60% off select items as candles, art, decorative art, frames, throws, albums, corningware, pyrex, bakeware, service ware, decorative pillows and slipcovers. WILLIAMS-SONOMA [www.williams-sonoma.com] Online Winter Sale Up to 65% off on select items until o1/05/06. Markdown Mom is finding 30% to 70% off on select items including candy, kitchen gadgets, dinnerware, linens, and foodstuffs–example butternut squash puree–reg.$10, now $2.99. NORDSTROM [www.nordstrom.com] Usually the best buys at Nordstrom’s is on their “sale” section online where markdowns range from 30% to 70% or instore at Nordstrom’s Rack (check the bottom and click on Nordstroms Rack to get the latest dates for upcoming sales). The best deal at Nordstrom’s Rack before Christmas was their December 21 Tag Sale when you could get 25% to 60% off red dot markdowns and 50% to 60% off new arrival of shoes. Their next sale date is December 27 which they are calling Resolutions–big savings to start the new year off. Right now Nordstrom’s is having a Winter Sale of 25% to 50% off. Usually I wait for a substantial markdown of at least 50% off depending how hard the item is to come by, or how desparate I need it. Remember Bargain Hunters, unless it is one of a kind, you usually can wait for the best deal. However, having said that, if you find a 70% off bargain online or instore in your size, grab it as they go very fast since that is usually their bottom markdown line! If there are several items you are interested in purchasing, remember Nordstrom’s has a flat shipping fee of $5.00–which is the same charge for 1 item as for 5. An extra plus online is a wish list under “your account.” This really helps in your hunt since you can track the markdown and the availability of a particular item. And you can email the list to a relative or gift-giving friend. SPIEGEL [www.spiegel.com] Markdown Mom really likes this site for its clearance listings which include “Below Cost,” its style, and tremendous savings. Right now through 12/29/05 Spiegel is having an additional 25% off (use code 142 in final review of order) including recent markdowns. Markdown Mom has found that markdowns range from 15% to 75%. However, remember that the larger the savings, the more limited the sizes, color, and availability of an item. Although the current 25% markdown does not include shipping and handling (on clearance items this usually starts at $5.95+ and $2.50 handling), the additional markdown will usually cover this cost with an extra $1 or $2 off the item. Another customer friendly service particularly beneficial to us diehard bargain hunters is the “wish list” of your account. Spiegel not only keeps you aware of the current status of your wish list and lists any further reductions, but if an item that was unavailable on your list comes back into stock, they will relist it on your wish list. Markdown Mom just purchased a pair of stylish suede scrunch winter boots, suggested retail of $119, for $24.99, minus the extra 25% off and you have an incredible in season bargain! Be sure to check often as Spiegel has daily “Today’s Steal” items in fashion & swimwear, shoes & accessories, and home decorating. Hot site!!! POTTERY BARN [www.potterybarn.com] Sale on holiday items are limited and markdowns range from 30% to 50%. Clearance items are marked close to pre-Christmas savings. Pottery Barn has new shipping costs which gives the consumer a slight break. Items up totaling $50 or less have a $6.95 flat fee, etc. Best bet for pottery barn devotees is the sale on accessories; otherwise try Target. JCREW [www.jcrew.com] JCrew is having a Winter Sale with an extra 25% off (on select items until 12/30/05 at 11:59PM EST). This is a good site for women size 18 or under. Markdown Mom did find some of the accessories around 32%+ of suggested retail, like shoes and slippers, then add the extra 25% off and it’s a better deal. Sizes are limited. Mostly smaller shoe sizes, but MDM did find a cozy pair of slippers and ballet style flats, and a winter boot in a size 12M! You may have to take time to hunt for the deep bargains, but it is worth it to get the JCrew look. (updated 12/29/05).